A serial killer. 29 hours to survive. 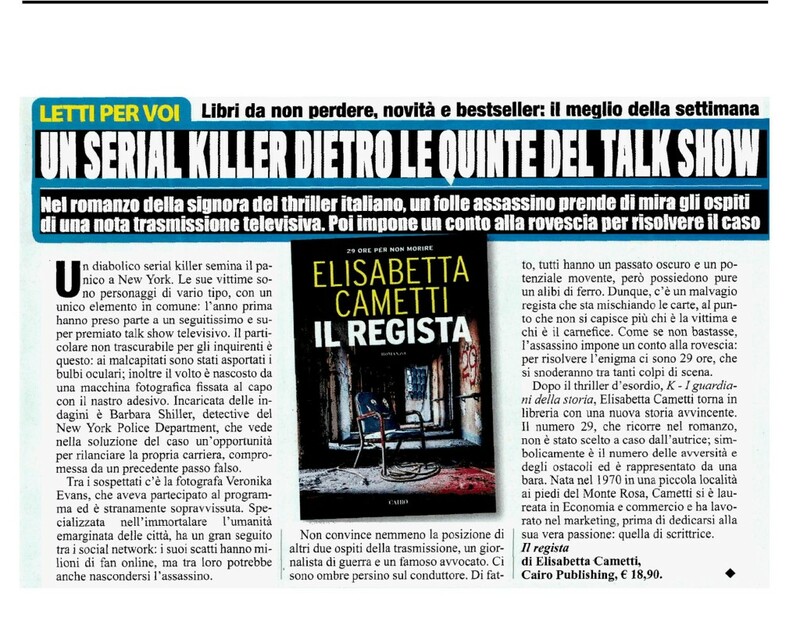 The review of the weekly magazine Nuovo (Cairo editore) presents us Il regista, one of the books of the week (10/12/2015).